Captain Will Miller grew up in Virginia and learned to sail in the Chesapeake Bay. He has lived in Charleston since 2001 and knows the city well. Throughout his life Will’s parents have owned a variety of sail, ski, and fishing boats in the Chesapeake Bay and its tributaries, the Carolinas, and the Caribbean. Family vacations included chartering in the Virgin Islands, St. Lucia, the Bahamas, and Jamaica. Will developed a love of the water at a very young age and chose to pursue a career as a captain after graduating from the College of Charleston in 2005. As a lifelong sailor Captain Will has traveled extensively throughout the waters of the United States and Caribbean. 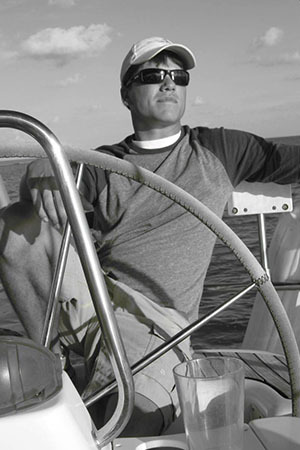 He has been a certified sailing instructor and licensed US Coast Guard Captain since 2006. While attending the College of Charleston Will worked at the Charleston City Marina. Post college graduation he lived and worked in Negril, Jamaica where his family owns and operates a restaurant, fuel dock, fishing, and sailing charters. Will returned to Charleston to work for the sailing school after his time abroad. Shortly after, Will joined 5 Oceans Marine Group as an associate broker. I had a very good experience with Will Miller at 5 Oceans Marine Group. He is very knowledgeable about his business and took care of all aspects of my purchase, and where he couldn’t places me in touch with the people who could. The transaction went very smoothly as far as I was concerned.